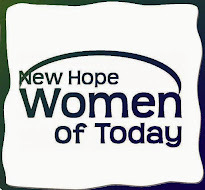 New Hope Women of Today: Our Last Spicy Tidbits of the 2015/2016 NHWT Year! Our Last Spicy Tidbits of the 2015/2016 NHWT Year! Carrie A, Thank you for being the State Delegate. You will be great. Sandy B, Thank you for all you do to support the chapter. Deb B, Thank you for your support and friendship this year. Rosemary B, Thank you for joining. We hope to see you at another event soon Teri B, Great job with PR. Thank you. Leslie B, Thanks for the 5K help this year. Diane W C., Thanks for all of your support and help. Wendy C, We miss you. Carole C, Thinking of you. We hope you are on the mend and feeling fabulous soon. Carole, Thank you for the H-U-G-E bag full of bras for our April collection at the general meeting. Carole, Glad to hear surgery went well, you looked Great afterward on the FB pic. Get Well Soon ! Alicia D, Congratulations on your wedding, job, and move. Tonia E, Thank you for joining. We are excited to get to know you more. Jayne F, Thank you for all the behind the scenes work you do to support our chapter. Peg F, We hope you are feeling up to a chapter visit soon. Thinking of you. Moira F, It was great to see you at a meeting this winter. Hope to see you at another event soon. Marion H, Thank you for chairing the Breakfast Bags event. Bonnie H, Great job as treasurer. Thank you. Tawn H, Thank you for being our President. Nice work! Kathi H, We miss you. Hope to see you at the Banquet. Delores H, Amazing job with Ways and Means this year. Thank you. Mary H, Hope to see you at the Past Presidents Brunch this year. We always enjoy your stories. Jenny J, Hope everything is looking up for you. Thank you for joining us at the Cookie Exchange. Kathie J, You are a fabulous women. We hope you are feeling better and are able to join us at a meeting soon. Shannon J, You are going to love being Secretary. Thank you. Rita J, Thank you for being on the board next year. Terri J, Thinking of you. Hope all of your plans fall into place. Cassie L, Thank you for all the 5K work done this year. Jeanine M, We miss you. Hope to see you at a social soon. Deb M, Thank you for your fun Grandma's Night Out socials. Great Idea. Pam M, Thank you for all you do to support our chapter. Jodie M, Thank you for all of your help this year. Jean M, Thank you for joining. We enjoy getting to know you more. Anna N, Nice to see you at the Area 3 meeting. Dawn N, We hope you are enjoying your new location. Thinking of you. Colleen N, We miss you. Hope to see you soon. Teddy O, Great job with Breaking Free. You should consider sharing your talents with the district or state. Charlene O, Thank you for your support this year. Molly P, Thank you for hosting our last Grandma's Night Out Social. It was fun for all. Karen P, Thank you for all you do to put out our newsletter. Your efforts are appreciated. Kellee P, Thank you for being a Craft Fair Shadow. You will be awesome. Judy S, Thinking of you. Hope to see you out and about sometime soon. Jean S, Thank you for your continued support of NHWT and the community. Jaclyn T, What can we say, you are fabulous and you know it! Katee T, We miss you. Hope to see you soon. Colleen T, Great job as PA this year. We hope you are having fun. Diane V, Thank you for being a fabulous member. Sue W, Great job as IVP. Thank you. Renee W, Thank you for the great job you do with the Prayer Chain. Sonja W, It's great to have you as a member. Lori W, Thank you for all of your work with Bookworms.